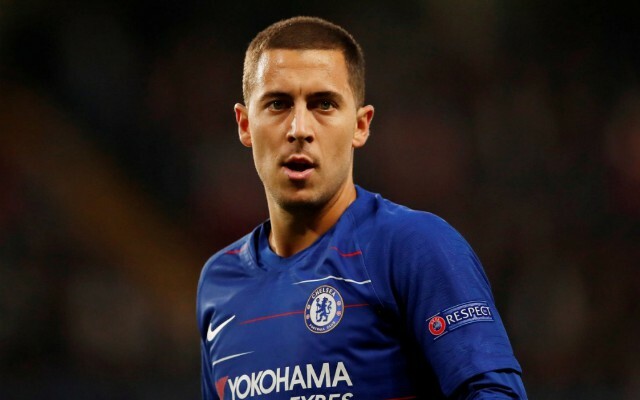 Real Madrid talisman is reportedly ‘totally’ against Los Blancos sealing a deal to bring Chelsea and Belgium maestro Eden Hazard to the Spanish capital. 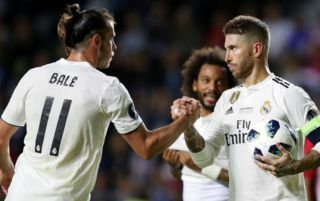 This is according to Don Balon, who note that the Welshman is ‘totally contrary’ to the idea of the Belgian joining Los Blancos, and that Bale has threatened to leave the club should Hazard make the switch from England to Spain. The report also notes that the club’s president, Florentino Perez, is aware that the Welsh international would not be pleased should the club sign Hazard, and that Real won’t go for Hazard should Bale prove to the club that he is capable of leading the line for the Spanish giants. Hazard’s signing would definitely be bad news for Bale considering the Belgian could very well displace the former Spurs man in Real’s side should he join, so it’s easy to see why he wouldn’t want the winger to seal a move. The 27-year-old has been one of, if not the, best player on the planet since the start of the World Cup this past summer, and his arrival would definitely give Real a major boost. The former Lille wide-man has already bagged seven goals and three assists in eight Premier League appearances so far this year. And if Hazard keeps up his current form, it may be worth Real going for the Belgian and trying to bring him to the Spanish capital, even if it means seeing Bale leave the club.